The Thomas Upham House has settled into a special place in my heart. 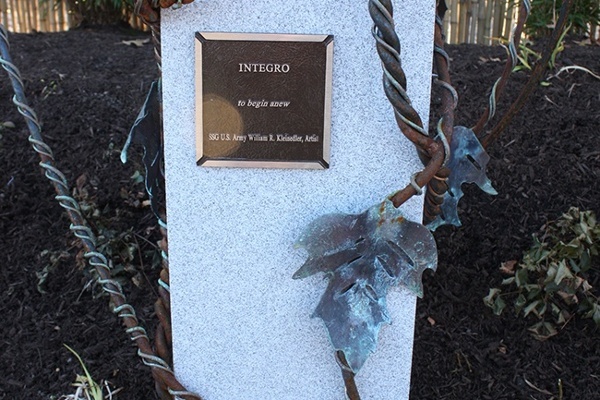 It's where my father spent his last 21 days of life in August of 2017. 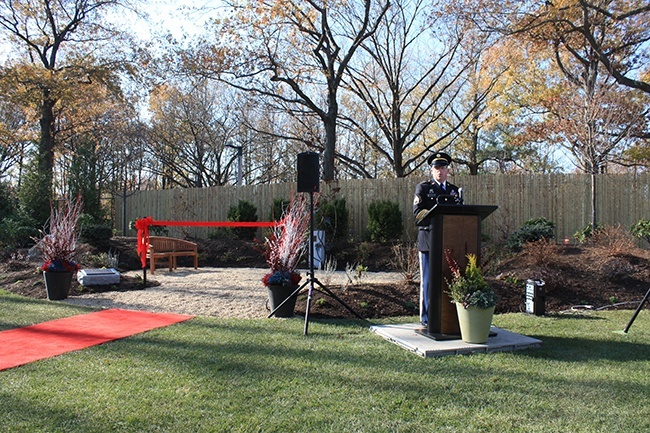 Filled with both grief and gratefulness, I felt the only way to reach out and say thank you to the amazing staff in a meaningful and lasting way would be to create a garden for this wonderful place. 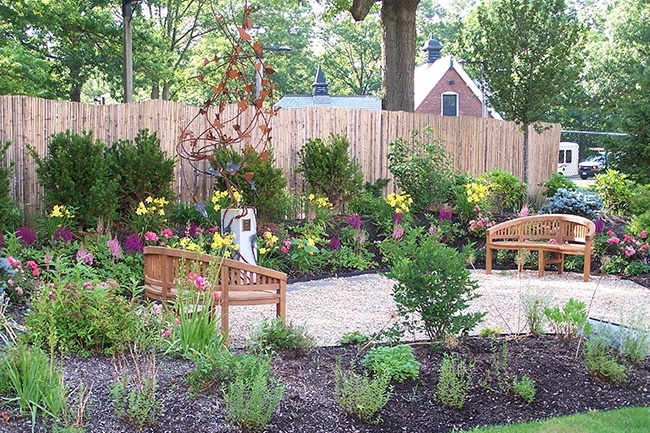 The Garden Continuum, with the help of many people (clients, friends, and family), collected over $2,500 in donations to build this garden. 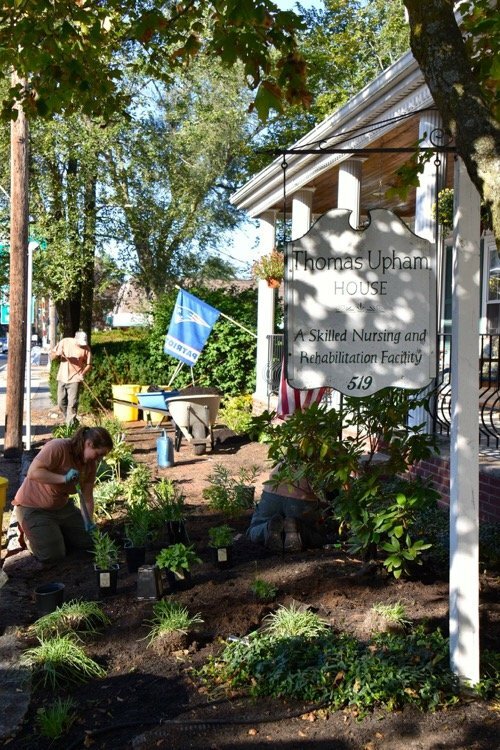 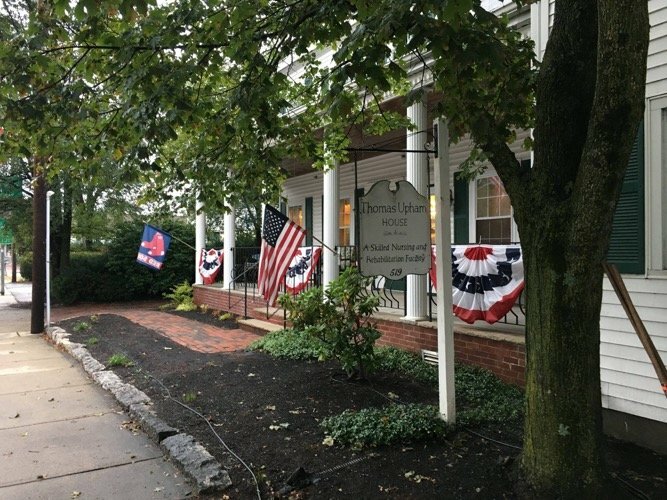 We hope the garden uplifts the hearts of everyone who lives, works, and visits the Thomas Upham House. 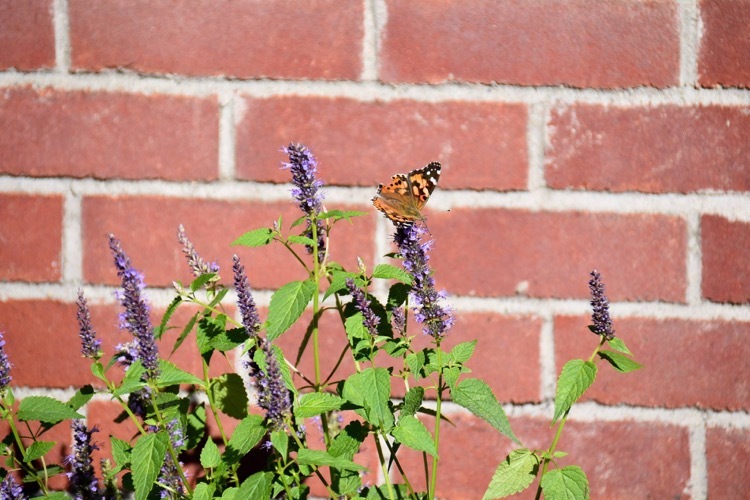 It is hard to be sick, in pain, and doing the hard work of healing or letting go. I learned that first hand. 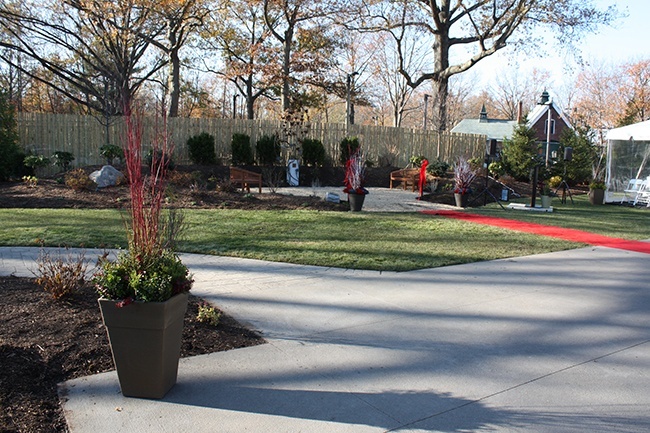 Thank you to all of the amazing staff and to all of the wonderful people who reached out with donations to make this garden idea a reality! 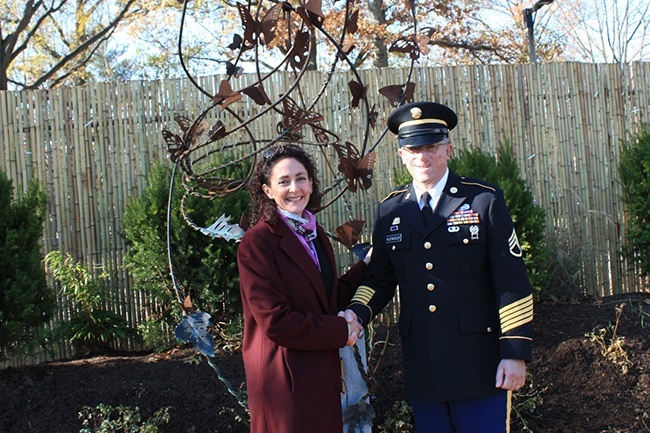 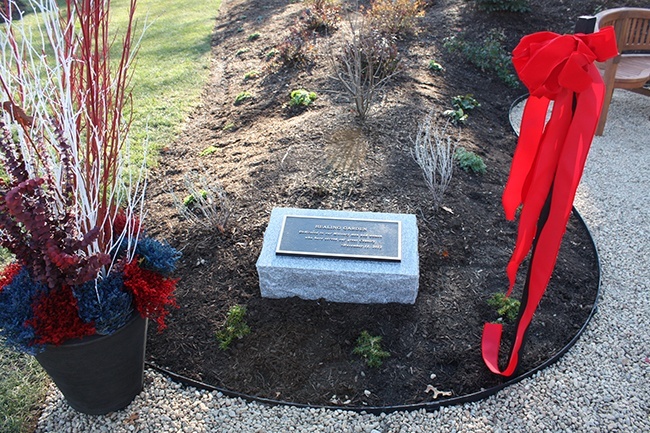 The joint efforts of garden design by Niels Bodecker & Monique Allen and the creation of the sculpture "Integro" by Staff Sgt William Kleineldler synergized and developed into the Healing Garden at Fisher House Boston. 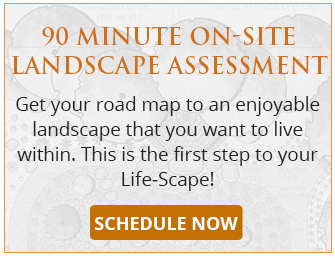 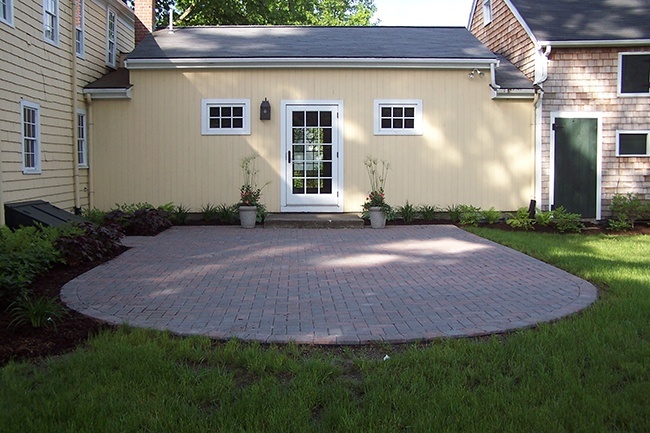 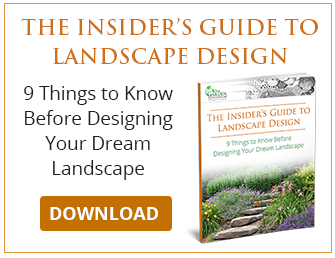 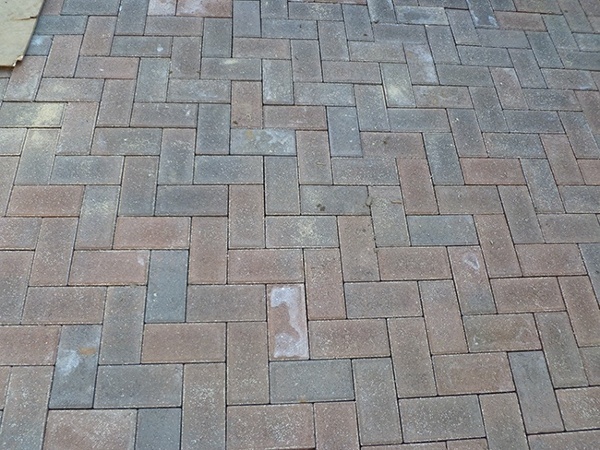 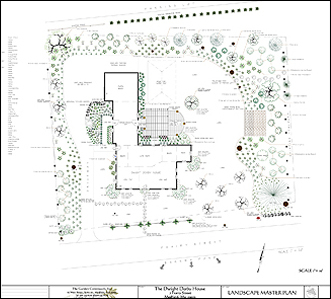 Design of areas suitable for outdoor functions such as weddings and receptions. 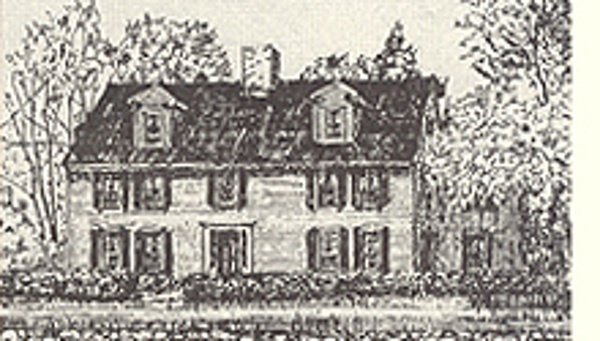 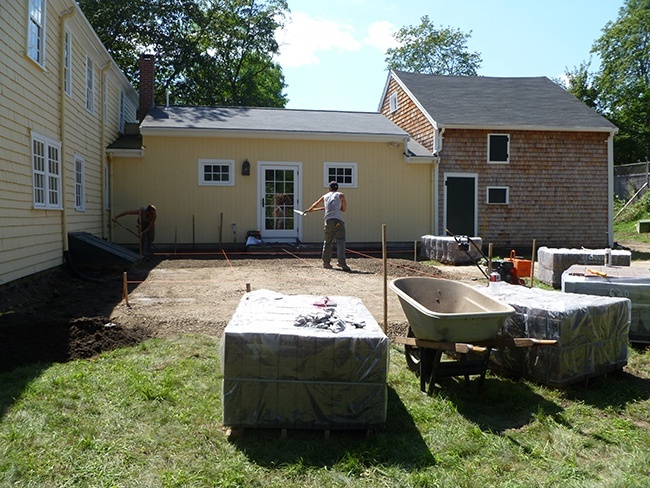 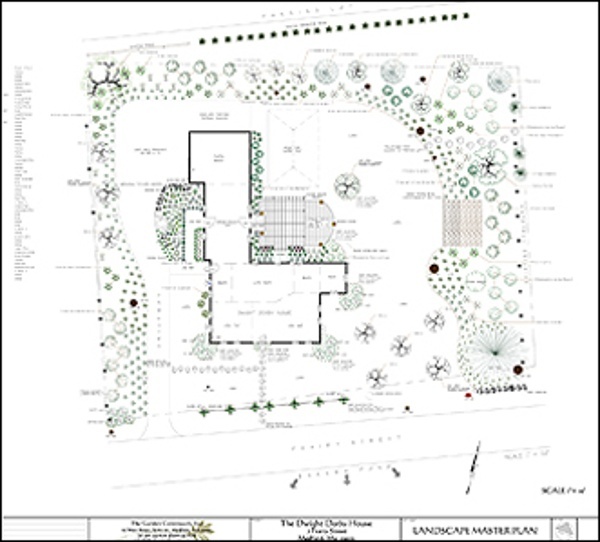 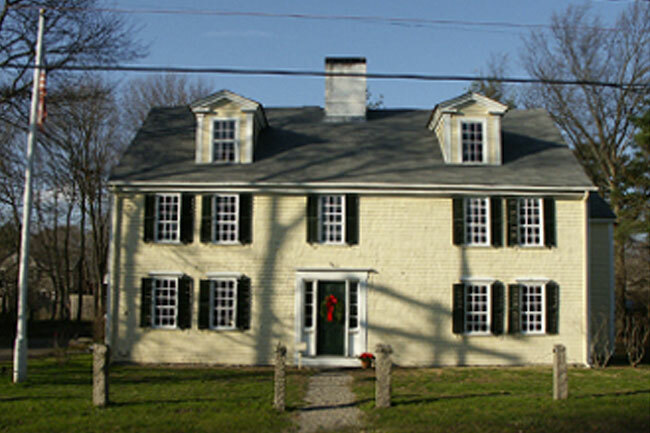 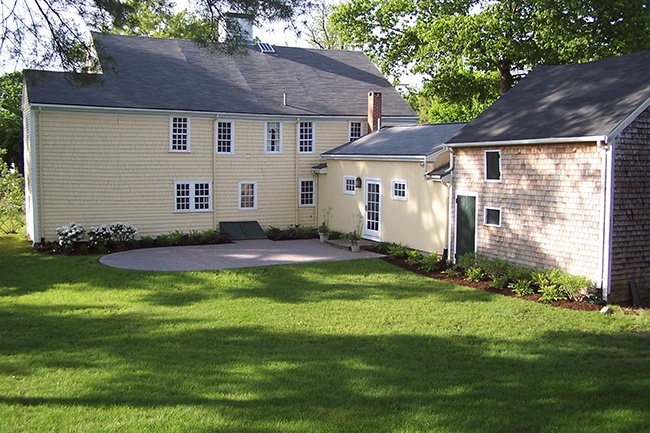 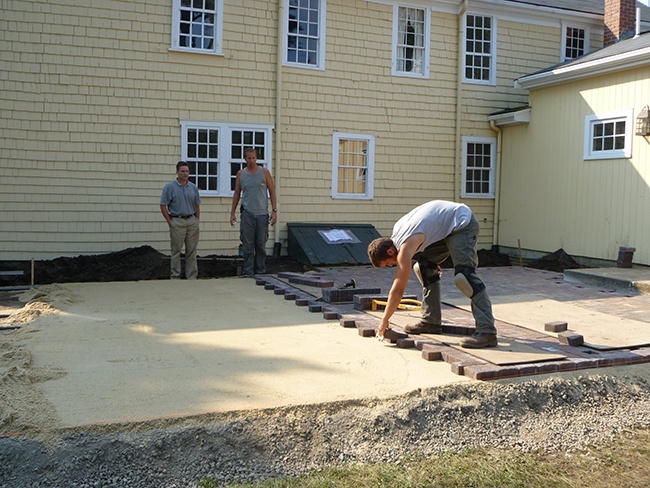 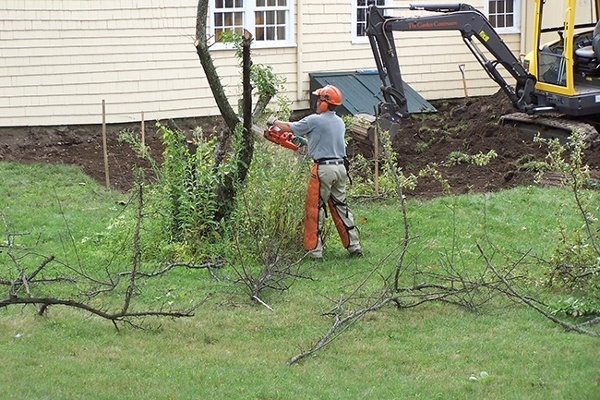 With input from the FDDH members a plan was developed and donated by The Garden Continuum which respects the historical nature of the site while at the same time allowing the town of Medfield to hold events that will ideally generate income to help with the ongoing restoration and preservation of the house and land. 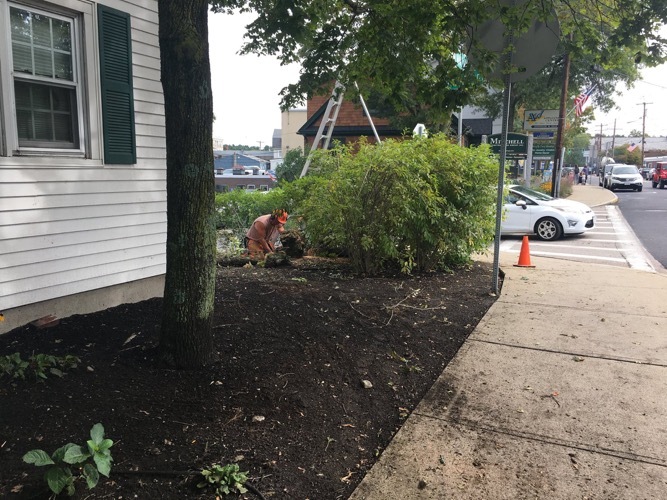 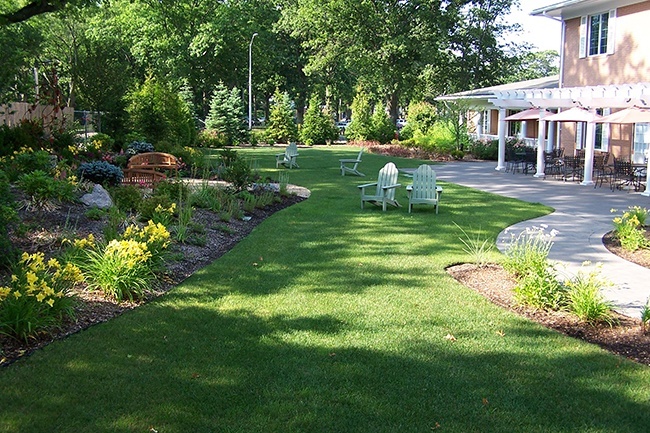 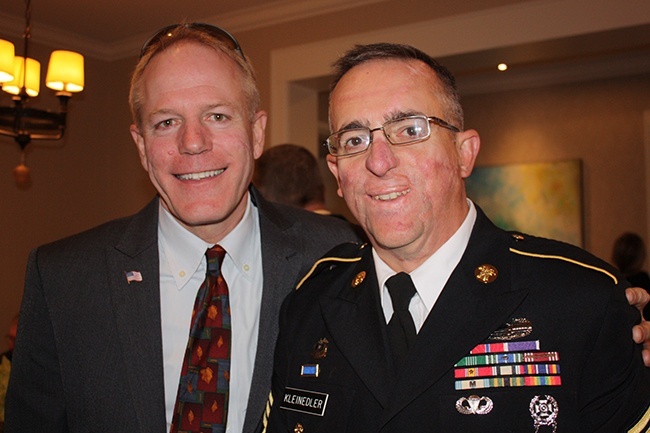 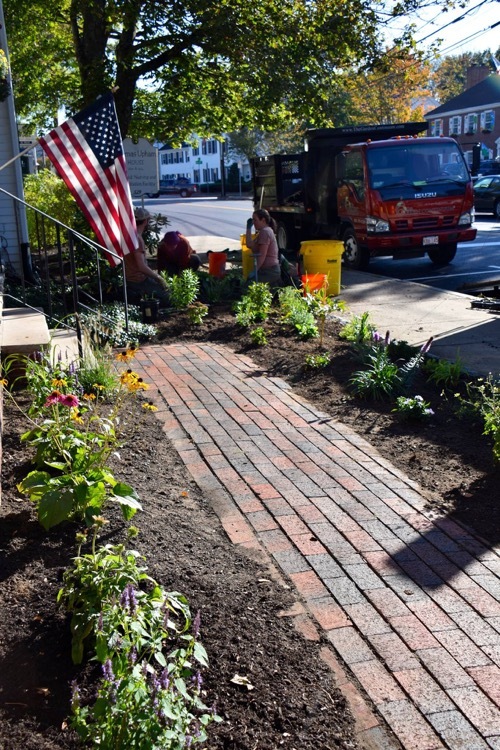 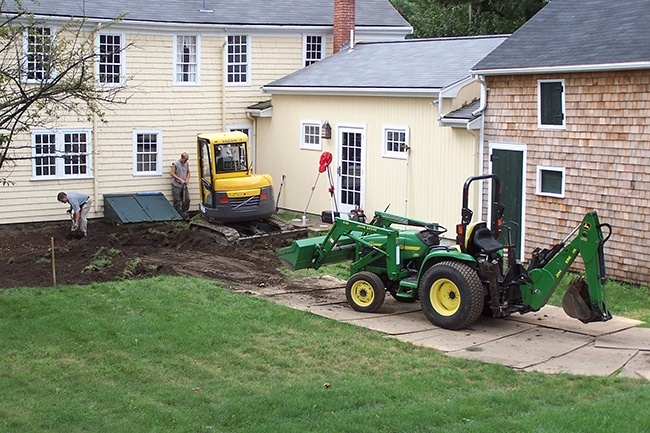 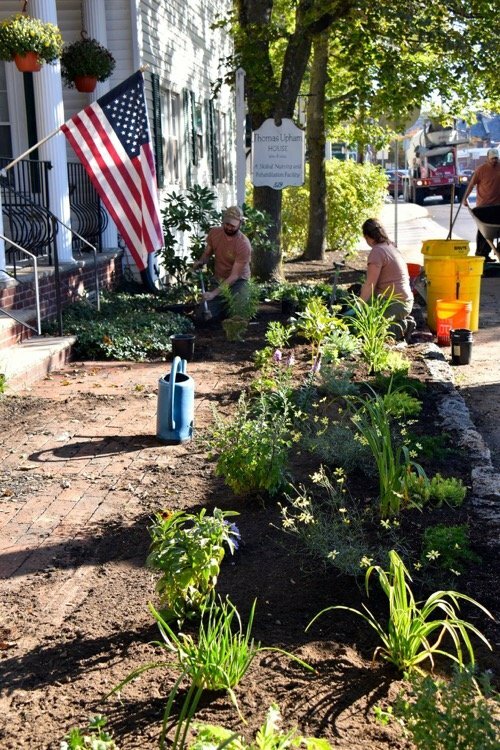 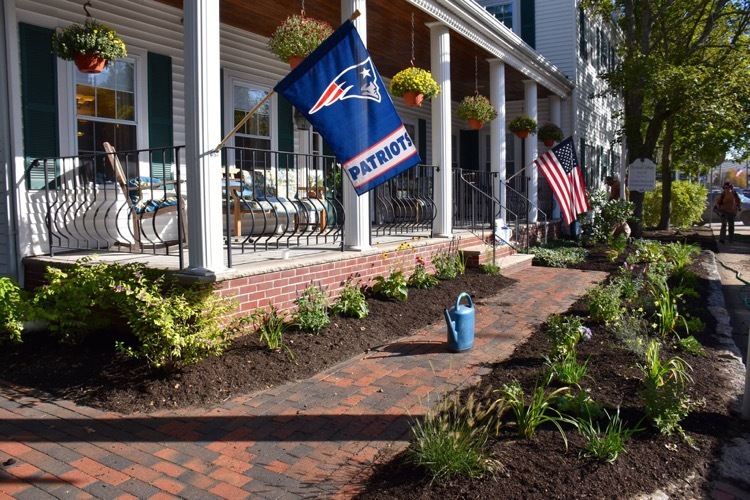 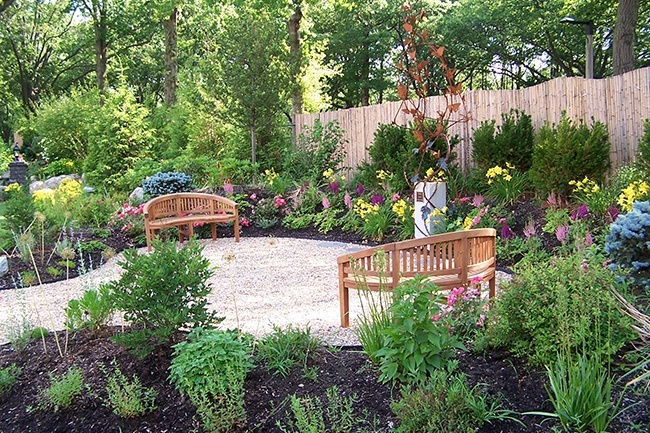 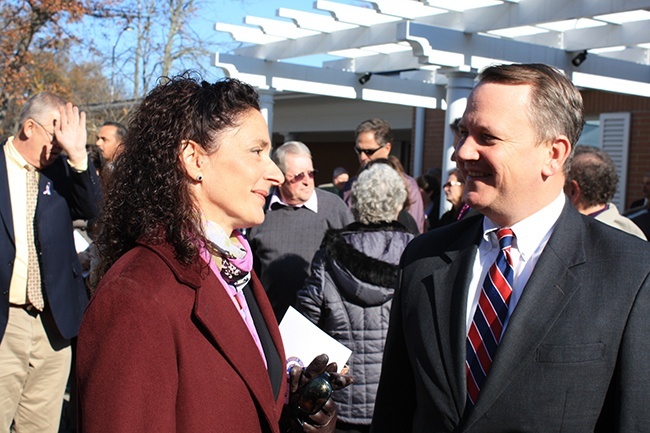 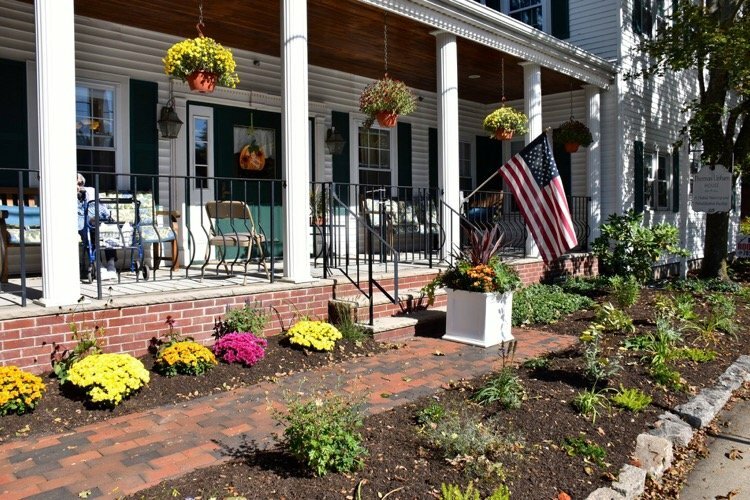 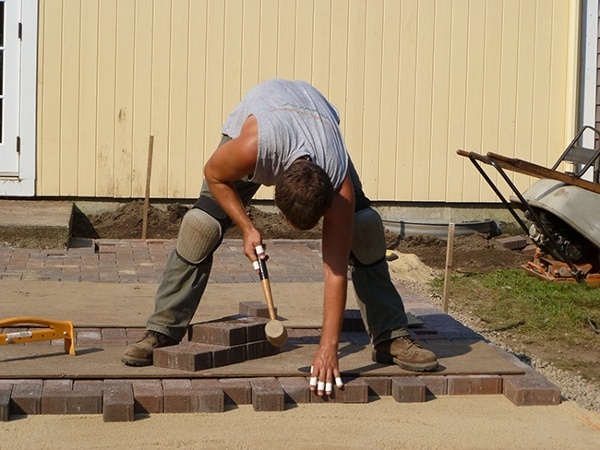 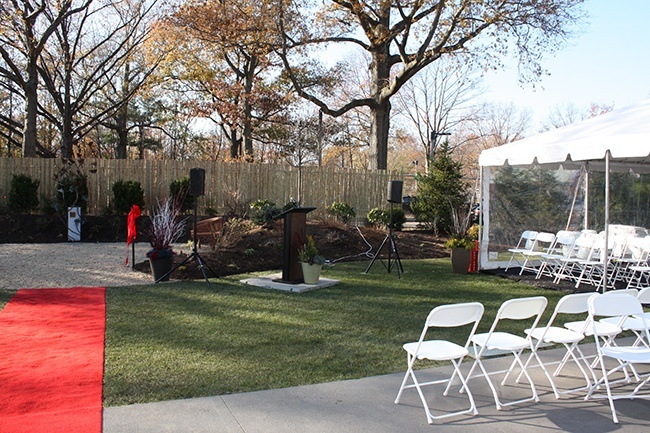 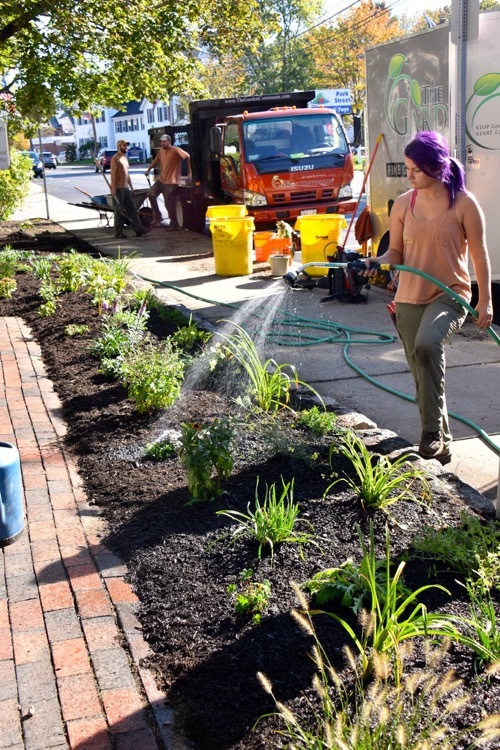 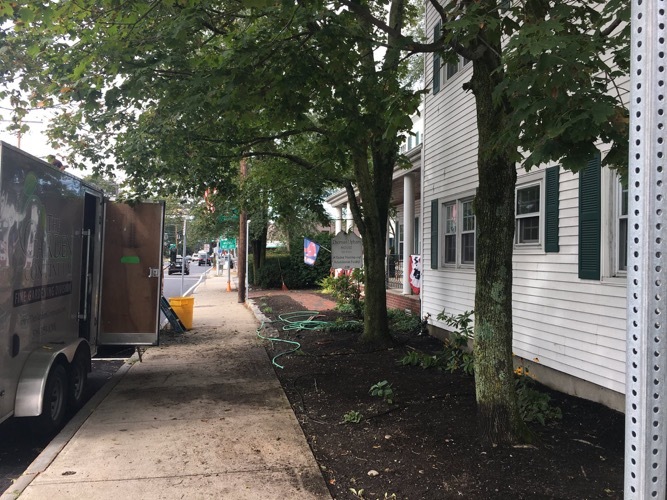 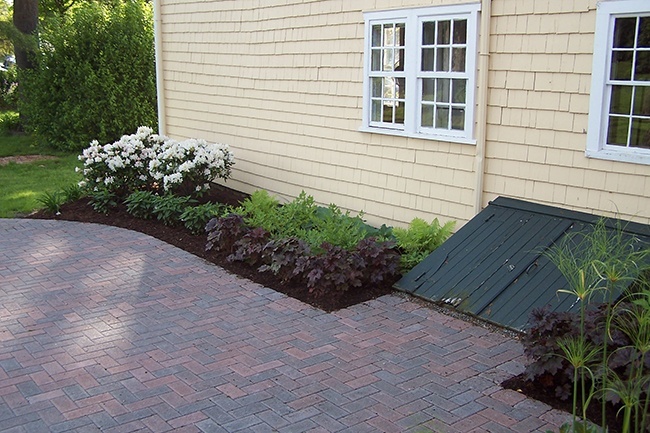 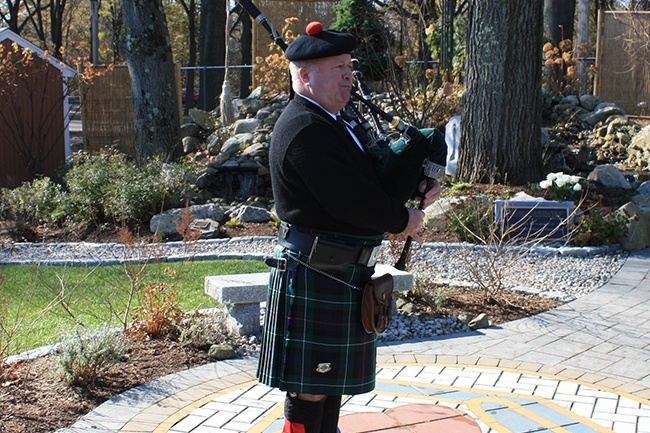 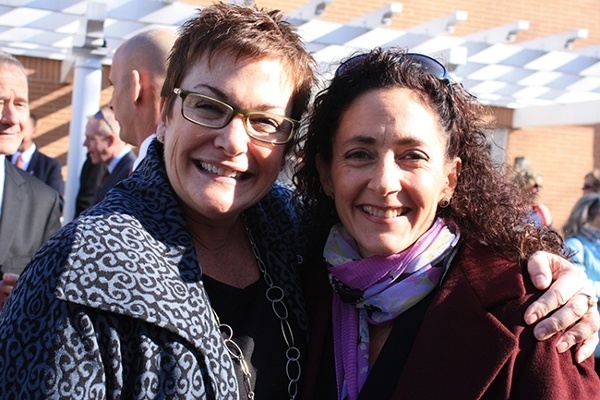 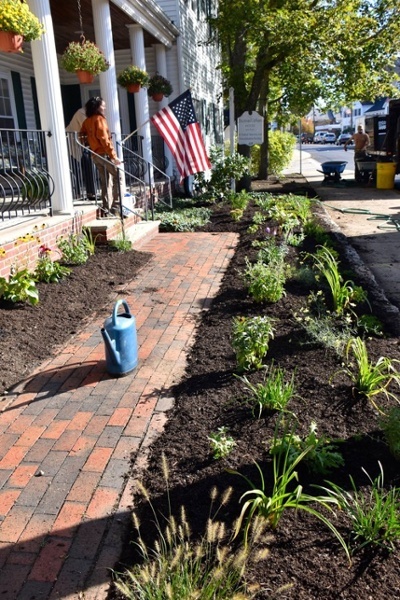 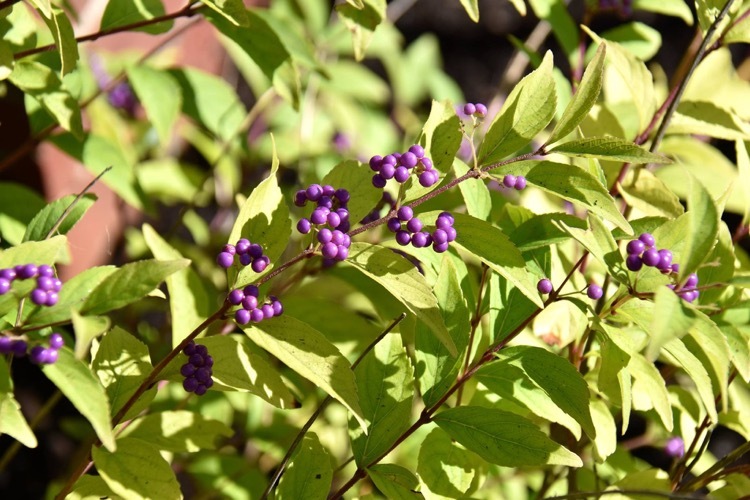 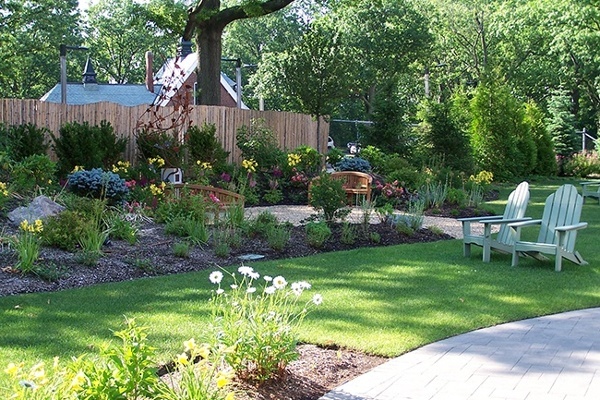 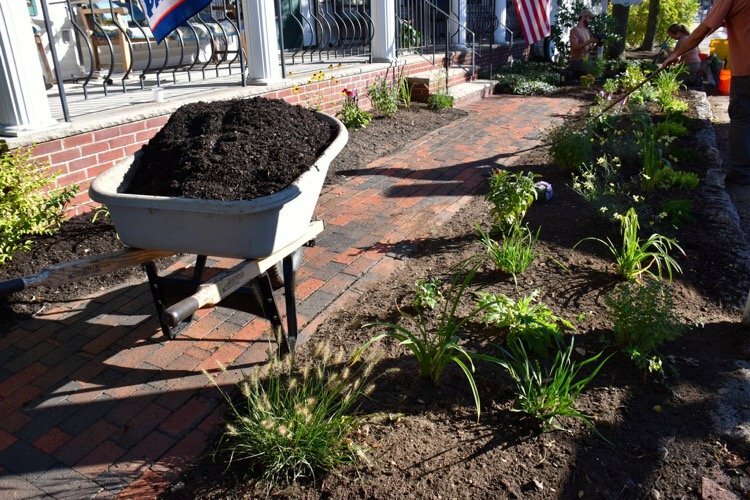 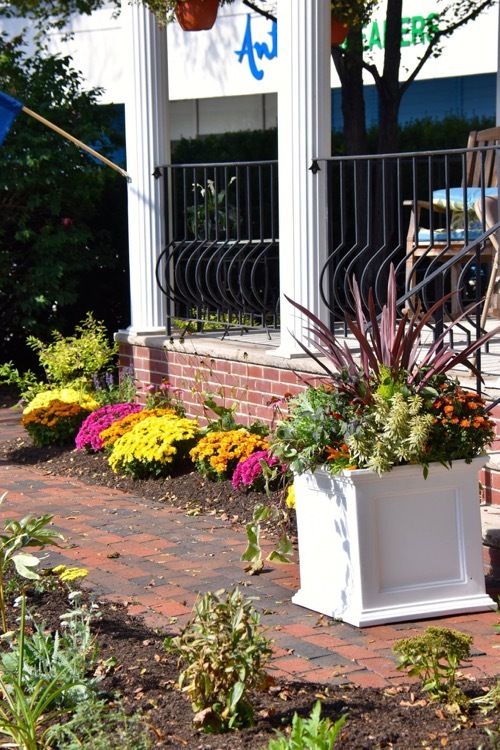 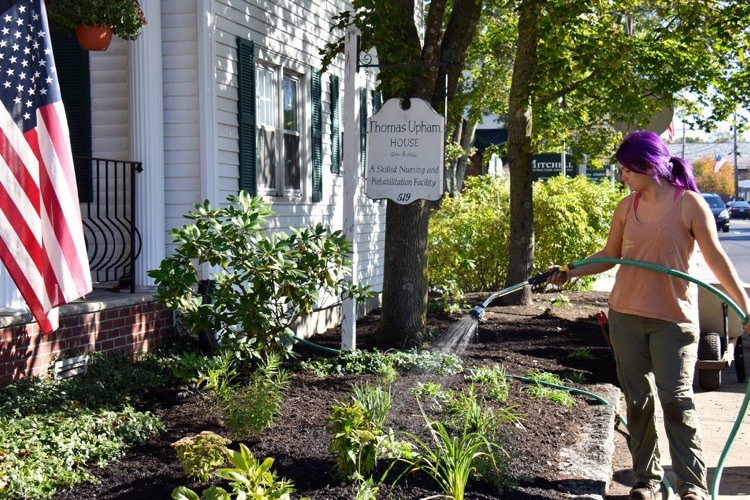 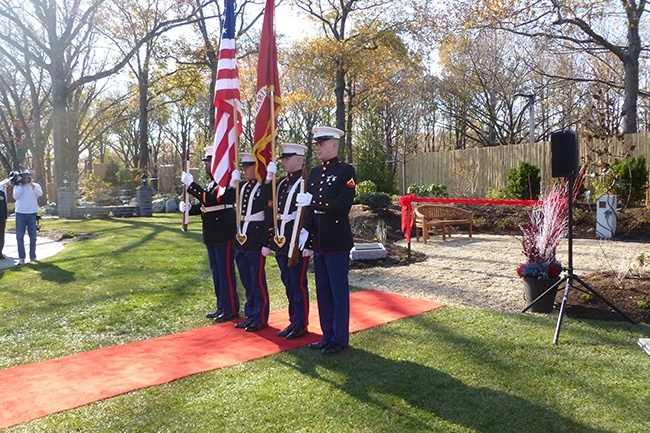 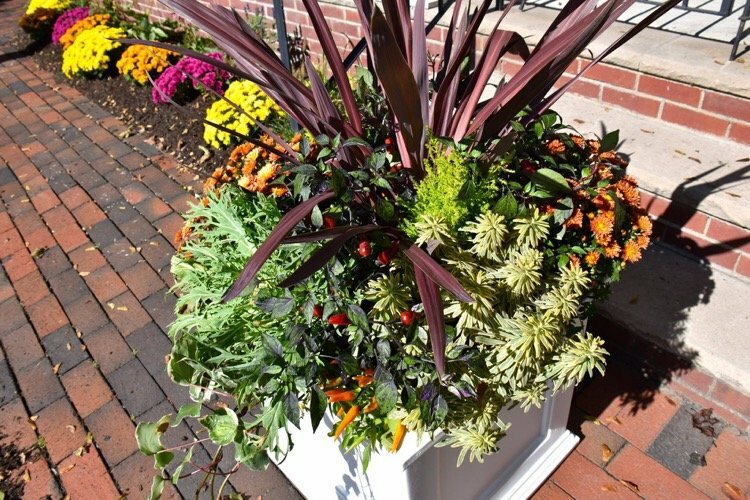 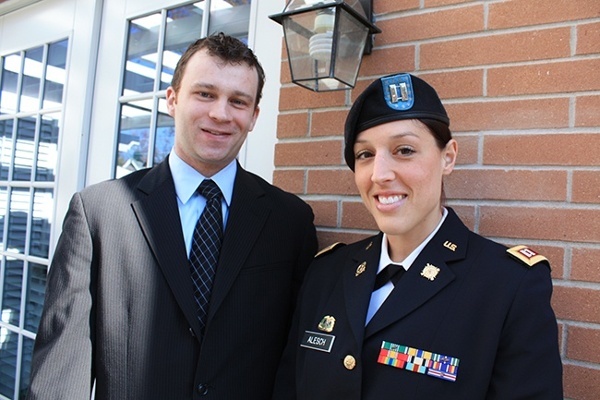 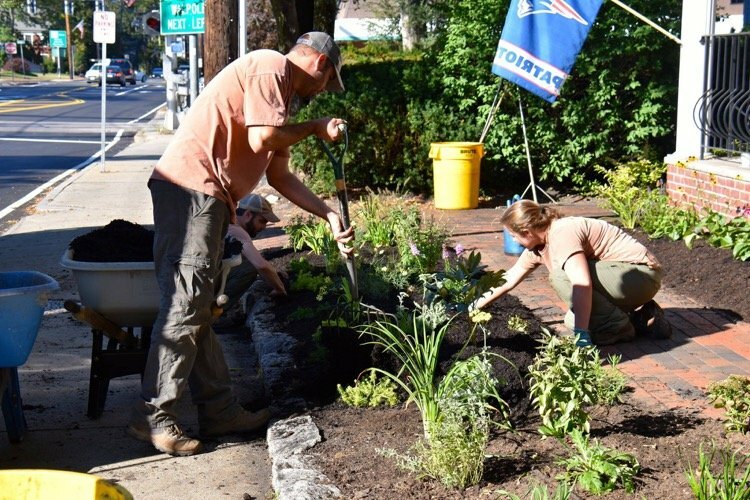 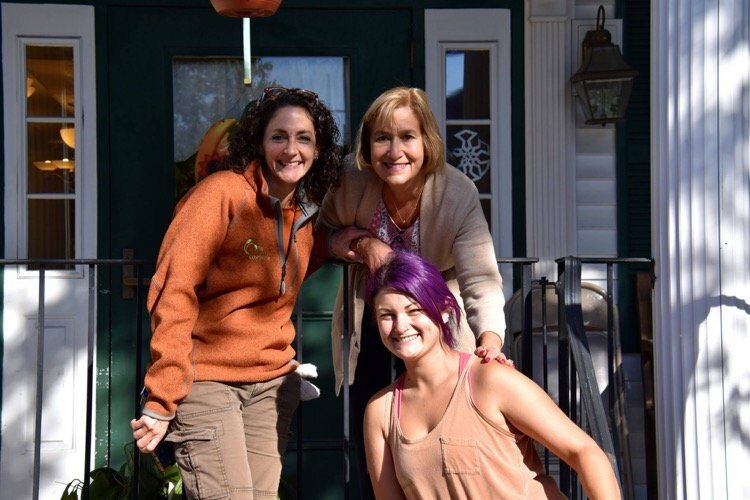 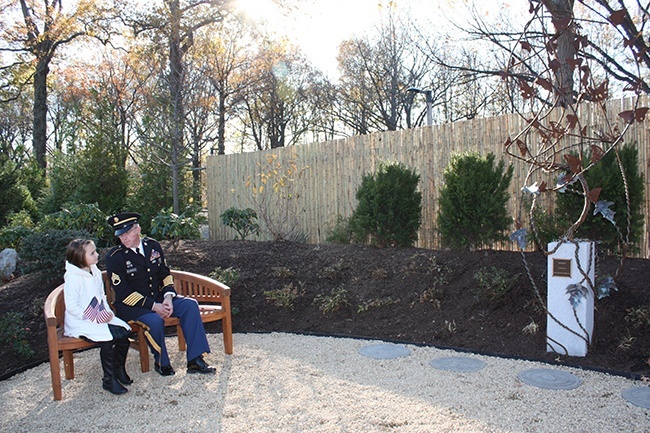 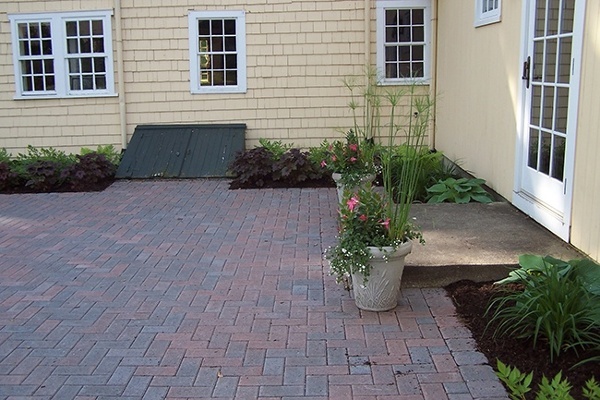 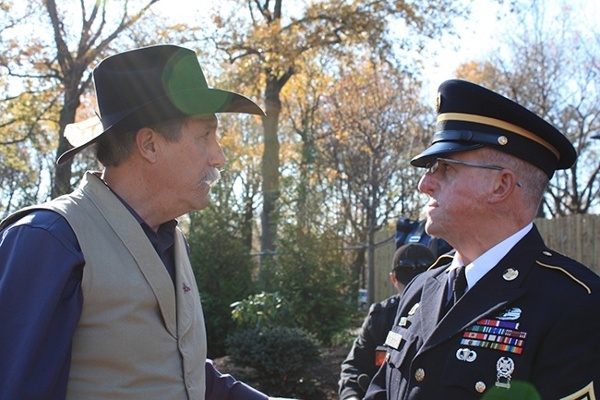 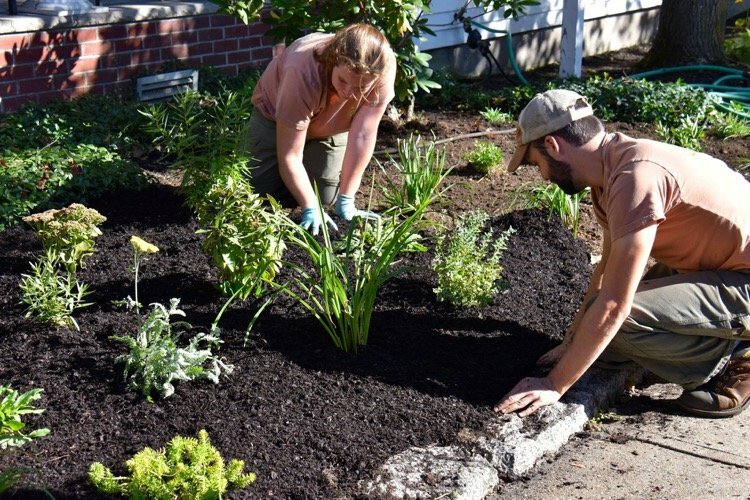 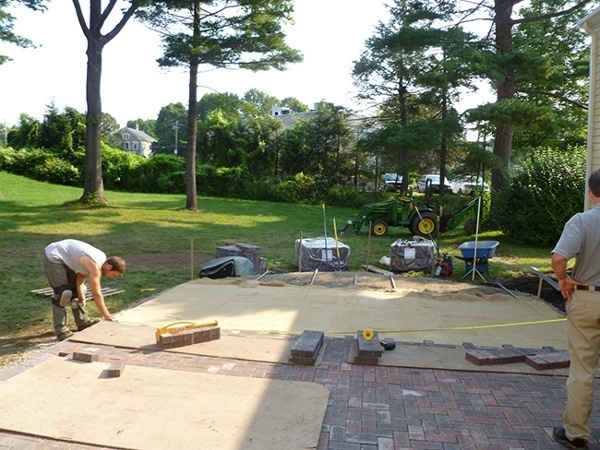 The Massachusetts Association of Landscape Professionals (MLP) is teaming up with GreenCare for Troops — a nationwide outreach program that connects local landscape professionals with men and women serving our country in the armed forces away from home. 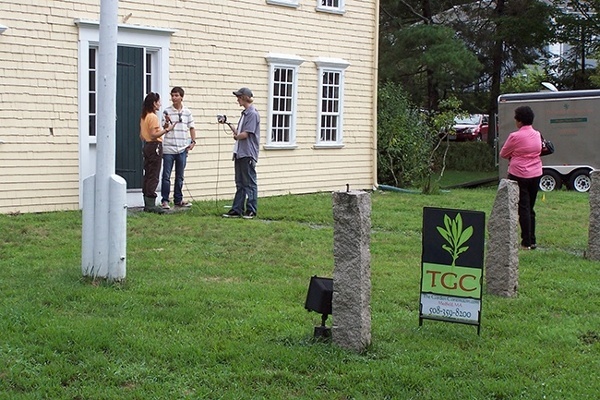 The Garden Continuum, Inc. has signed up to support this program. 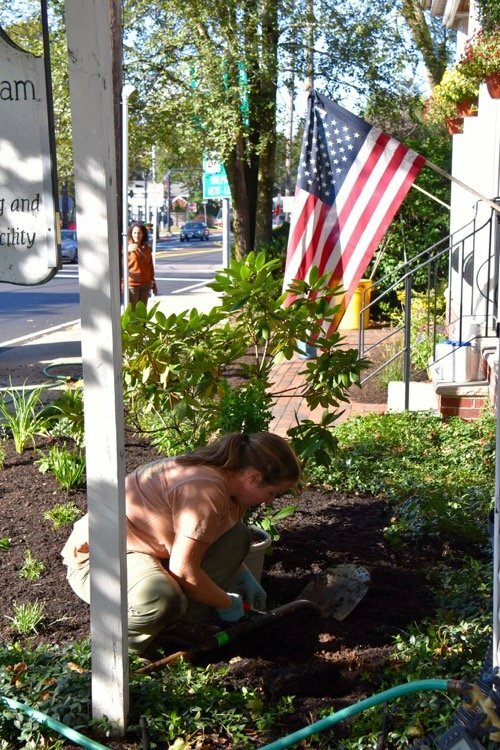 To date, GreenCare has helped more than 2,400 volunteers provide free lawn and landscape services for nearly 10,000 military families nationwide.